The Late Lieutenant Grant was accorded a Military Funeral, Firing Party, Bugler & Pallbearers, under the command of Lieut. Brown, Admin. Headquarters, A.I.F. London. The coffin was draped with the Australian Flag and the "Last Post" was sounded at the graveside by an Australian Bugler. Lieuts. Hillyard Smith and Stafford, A.F.C. represented the Australian Flying Corps. Many beautiful wreaths were sent by relatives and by different branches of the A.F.C. one in particular in the form of a plane was sent by the N.C.O's and men of the squadron of which the deceased Officer was an Instructor at the time he met his death. 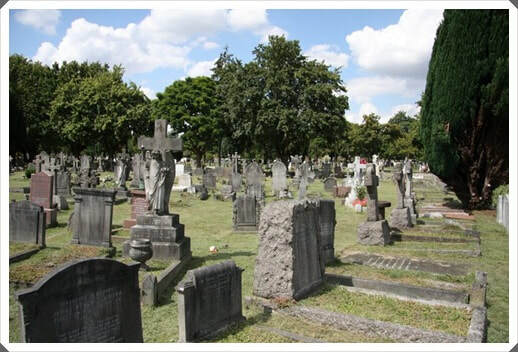 Administrative Headquarters, A.I.F., London were represented at the funeral. 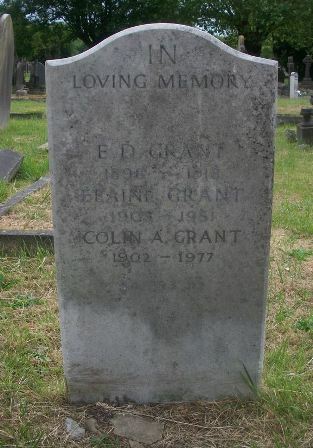 Family present were Mother - Mrs H Grant, 249 Cromwell Road, London, Sister & brother - Miss Y Grant & Master C Grant. Grandmother - Mrs Neithercott, Earls Court. Cousin Bombadier Roy Grisoni, R.F.A. and Mr. Grizoni.